Summer Reading: First Senior Bro! 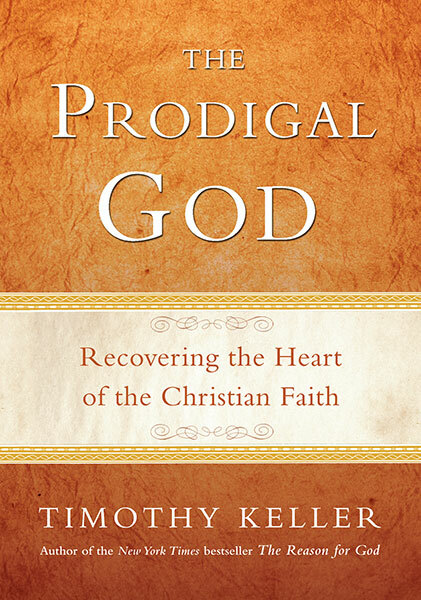 I recently read The Prodigal God, written by Reason For God's author Timothy Keller. In this book, Keller speaks on the parable of the lost son in Luke 15 and paints a picture of who God is in relation to both sons and not just the younger one. Keller starts off the book with the definition of prodigal, which is to be either recklessly extravagant or having spent everything. In the beginning, I thought the title was confusing, however as Keller began to explain the different ways that each son was lost, it becomes clearer why God is actually the one who is prodigal. The beginning starts off with the decision of the younger brother to take his inheritance early and go on a wild adventure in the far country. We know that he ends up being able to come back and is restored to his status as his fathers son when he recognizes his sin. However, as Keller points out, it is actually the dutiful elder brother that ends up never reconciling with the father. When we look to the beginning of the parable, we see that Jesus is actually talking to two different types of people, the sinners who Jesus attributes to the younger brother, and the pharisees who Jesus identifies as the elder brothers. Jesus is not primarily focusing on the "sinners", but rather the proud older brothers in the crowd who, unlike the younger brother, did not physically run away. Keller points out the signs in the parable that show how the elder brother actually desired the exact same things as the younger brother, yet took a different approach to obtain it. Both did not view the father with love, but rather a means to get what they both wanted, which was ultimately separation from him. I was really moved by the heart that the father has, not just for the younger son, but actually for the older son. From The Prodigal God, we learn how there are many different ways one can be far from God. I personally learned how simply obeying Gods commands does not necessarily translate to a heart for God. Personally, I was challenged by the description and motivations behind the elder brothers actions, and as someone whose been in the Church for a few years I could personally relate to a lot of them. I would highly recommend this book to every Christian as it does a fantastic job of explaining clearly the different ways one can be apart from God, as well as the bountiful love that God pours out to even those who betray him. I think it is something that we can all relate to and can continue to learn from. It shows how in the end, it really is God who is prodigal as he sent his son Jesus to the cross to spend everything in order to bring us back into his kingdom. Summer Reading: First Sophomore Bro!